In March 2008, nineteen Unions, covering 10,000 professional members at the EPA in the USA, have notified the EPA management, that they are withdrawing from their long standing partnership, for failing to deal in good faith, on issues of scientific integrity. – One of these issues is water fluoridation. Over five days of conferences and meetings in Toronto, (7 – 11th August), has given a great boost to the anti-fluoridation movement in Canada. The International Society for Fluoride Research, and The Fluoride Action Network, has presented indisputable evidence that fluoridation is outdated and should be stopped. There were many presentations by many prominent professional researchers and many articles appeared in the media. Prof. Paul Connett And Prof. Michael Lennon. The Fluoride Action Network, have released another video on “YouTube” showing Prof. Paul Connett, “carving up” Prof. Michael Lennon, Chairman of the British Fluoridation Society, and also a big wheel on the dental committee of the World Health Organisation, when water fluoridation was being debated in the Isle on Man, this year. NOT to Destroy Fluoridation Evidence. On 9th June 2008, Attorney, Robert Reeves, has put on notice, the 60,000 member, American Water Works Association. They have been notified not to destroy, remove, or tamper with documents, or video recordings in its possession, that may be used in legal action, on behalf of persons injured by drinking fluoridated water. In June 2008 the USA National Kidney Foundation withdrew support for water fluoridation and stated that kidney patients should be notified of the potential risk of using fluoridated water. In June 2008, the Government of the Isle of Man decided not to add fluoride to the water supply. This follows a public out-cry against the practice for nearly five years. Canada Victory Give Hope That Canada will Stop Fluoridation. In April 2008, there was another victory against fluoridation, this time in Dryden, Ontario. This follows the victories in the Niagara region in 2007 and in Quebec City to start 16th April 2008. In March 2008, nineteen Unions, covering 10,000 professional members at the EPA in the USA, have notified the EPA management, that they are withdrawing from their long standing partnership, for failing to deal in good faith, on issues of scientific integrity. One of these issues is water fluoridation. New Video Show Horses being Poisoned by Fluoridated Water. On the 24th February 2008 Dr. David Kennedy posted a new video on “Youtube” showing the dangers of fluoridated water to horses. The symptoms experienced by the horses included dental fluorosis; acute lameness; abnormalities of the hooves; changes in bone structure; dermatological reactions; colic and even changes in behaviour. These symptoms and condition changes were confirmed by Dr. Lennart Krook, from Cornell University Veterinary School. In February 2008, the “Institute for Children’s Environmental Health” produced a 37 page consensus report on environmental agents associated with neurodevelopmental disorders. The report includes a review on fluoride. While the review understates the extent of fluoride’s risk, it does indicate that more and more mainstream scientists are acknowledging that fluoride can interfere with a child’s mental development. World Council of Elders, Blasts Water Fluoridation. On 8th February 2008, the World Council of Elders, comprised of spiritual elders from native and indigenous peoples in the USA and around the globe, wrote to the National Kidney Foundation referring to warnings issued by the National Research Council, showing that their people are suffering more damage from fluoride exposure in reticulated water. In January 2008, the Fluoride Action Network launched a new video featuring dentist Bill Osmunson DDS MPH, Director of The Institute for Comprehensive Dental Studies. Dr. Osmunson supported fluoridation for the first 25 years of his professional career, and on this video, he explains why he now opposes water fluoridation. On 15th January 2008, the “Juneau Empire”, a newspaper in Juneau, Alaska carried an article by Dan Stockin of the Lillie Center, exposing cover-ups by leading officials at the CDC, regarding water fluoridation. This article later appeared in the “US Water News” (the “Wall Street Journal” of Water publications), and goes out to all water and waste-water professionals and organisations in the USA. Signs the Professional Statement Against Fluoridation. On 14th January the Fluoride Action Network advised that a former Belgium Minister for Public Health, Magda Aelvoet, has signed the Professionals’ Statement calling for an end to water fluoridation worldwide. A 7 page article, by Dan Fagin, focuses on the National Research Council Report into Fluoride. “Fluoride is the most consumed drug in America and its time we stated to talk about it”. – Making you Sick”. By Dr. Bruce Spittle. Launched in New Zealand in December 2007, Dr. Bruce Spittle outlines many examples from New Zealand and overseas, of people who are allergic to fluoride in the water supply. Protest Fluoridated Water for Malibu, CA., USA. On 7th November 2007, The Malibu Times printed a letter from Hollywood actor, Martin Sheen, protesting against the future fluoridation of the Malibu’s water supply. He wrote saying: “To date, no manufacturer of the actual hydrofluorosilicic acid to be used has stated that their specific product is effective at reducing tooth decay when swallowed, or safe for all infants. On 3rd October 2007, by a margin of 2 to 1, the people of Juneau, Alaska, voted against placing fluoride in their water, despite being outspent by their opponents by 22 to 1. 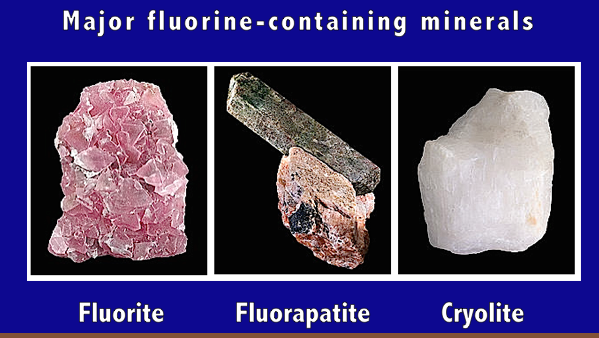 Harmed by Fluorides. – Article from Lillie Centre. On 2nd October 2007, a news release from the Lillie Center advised that. (1) Afro-Americans suffer disproportionate problems with kidney disease and diabetes caused by fluorides. (2) CDC shows that Afro-American have disproportionate risk for disfiguring teeth damage from fluorides. (3) Suffer more discrimination now that the CDC and the ADA has advised that babies should not have fluoridated water in their baby formula. Source: www.fluoridealert.org Bulletin No. 880. In August 2007, the Cobleskill Village Board decided to turn off the fluoride tap after 54 years of fluoridation. Professional Petition Against Water Fluoridation. On the 9th August 2007, the Fluoride Action Network launched an International petition with 600 signatures from professionals who oppose water fluoridation. They are now calling on other professionals to join the petition. At the same time, they have launched a petition for citizens who support the professionals statement. Against Fluoridation, by Drs. Masters and Coplan. On the 7th July 2007, Dr. Roger Masters and Dr. Myron Coplan circulated the presentation they made to the Massachusetts State House on 27th October 2005. Their research discovered that when using hydrofluorosilicic acid in reticulated water supplies, it caused more lead to leach into the water system and therefore more danger to the brain of children. Stopped Fluoridation After 45 years. On 18th April 2007, the Times-Beacon Newspaper reported that Beach Haven, NJ, is the last municipality on the Island to remove fluoride from their water supply. In November 1962, it was believed that fluoride added to the drinking water system would help prevent tooth decay. In recent years however, sufficient data has shown that fluoride can actually cause teeth to weaken and increase tooth decay. Quebec, Canada, Voted to Stop Water Fluoridation. On the 16th April 2007, the City Council of Quebec, voted not to extend fluoridation to surrounding cities and to terminate fluoridation in Quebec City on 1st January 2008. On the 10th April 2007, The Blue Ridge Environmental Defence League, with Board members from Virginia, South Carolina, North Carolina, Tennessee and Georgia, voted unanimously to support a resolution calling for a ban on fluoride in drinking water. Iranian Researchers find a Lowering of I.Q. With Just 2.5 ppm of Fluoridated Water. This study found an average difference of ELEVEN I.Q. points in children between 2 villages. One with a fluoridation concentration of 2.5 ppm and the other 0.4 ppm. The findings are remarkably similar to those of Xiang et al. There are now nineteen studies of this nature and all draw similar conclusions. Fluoride Intake Harmful to Teeth and Bones. Published in Annals of Anatomy 189 of 2007, Japanese researchers, M Kakei et.al. Have shown in rat studies, that regardless of the amount, fluoride intake has harmful effects on bone and tooth formation. Pledges to Ban Fluoridation in Ireland. On 14th March 2007, the Irish Times reported that fluoridation of drinking water will cease if the Green Party is elected to Government, Party health spokesman, John Gormley pledged. On 10th March 2007, the people of Ashburton, NZ rejected water fluoridation. With 64 percent of the citizens voting and a 55% to 45% victory, it was a decisive win. Stop Fluoridation After 40 Years. On 5th March 2007, the people of Mount Desert, Maine voted to stop water fluoridation in their town. More Research finds Fluoride Can Effect the Developing Brain. New evidence on fluoride and the developing brain. Research from Brazil, China, India, Italy, Mexico and the USA is showing how fluoride can effect the human brain. Mayo Clinic Links Fluoride and Arthritic Pain. Recognition by Mayo Clinic and the American Society for Bone and Mineral Research of arthritic pains linked to fluoride ingestion. The Centers for Disease Control (CDC) released the results of the National Survey data on the results of dental fluorosis among US teenagers. It shows that 1 in 3 now show signs of dental fluorosis. Increase Lead Uptake in Brain. Scientific research at the University of North Carolina have found that silicofluorides can produce more corrosion of lead, from brass pipes. This allows more lead to enter the human body and lead is harmful to the brain. Fluoridation is Harmful over 0.4 mg/L. Presentation to the 2007 Society of Toxicology Conference by National Research Council members, Dr. H Limeback, Dr. K Thiessen & Dr.R Isaacson together with the EPA’s, Dr. W. Hirzy, showing that on the findings of the 2006 NRC Scientific Review on Water Fluoridation – water fluoridation is harmful over 0.4 mg/L. Research finds Fluoride Can Reduce the Sperm Count. Two sets of research by Dr Reddy and Dr. Dvorakova-Hortova have shown that fluoride has reduced the sperm count in animals and this is a worrying trend for humans. Further research is required. A study published and released by the Journal of Public Health Dentistry, in the USA, has advised that most practising dentists and dental hygienists are unaware that there has been a change in the way fluoride should be delivered, that is, by topical means rather than being swallowed. It was also ascertained that most did not know the fluoride content of toothpastes and gels, etc. Researchers from the NIH funded “Iowa Fluoride Study” investigated if there was any difference between children who mainly drank fluoridated tap water to children who drank low-fluoride bottled water. There was virtually no difference. Between Fluoridated & Non-fluoridated Areas. Two research programs on tooth decay in older people have shown very little difference in tooth decay between older people in fluoridated and non-fluoridated areas. – One published in the Journal of Public Health Dentistry 67 (4): 224-233 by Dr. G Maupeme, looked at the HMO members in the State of Oregon. And the other undertaken by a University of Michigan research team, who also found that after 4 decades of water fluoridation, in Detroit, teeth were in a very poor state. No Justification for Using Water Fluoridation. Two separate articles have been published in pro-fluoride publications that have thrown doubts that fluoridation is working. The first, by Dr KK Cheng, published in the British Medical Journal. He states that water fluoridation is of such poor quality, that, if it was defined as a medical treatment, there would be insufficient evidence to justify its continuation. – Also, in the journal Clinical Oral Investigations Dr. G Pizzo has stated that several epidermiologic studies conducted in fluoridated and non-fluoridated communities clearly indicate that the Community Water Fluoridation may be unnecessary for carries prevention, particularly in the industrialised countries where the caries levels has become low. Kidney Damage in Children to Fluoridation. Researchers Dr. Xiong et.al. had their research, “Dose effect relationship between drinking water fluoride levels and damage to liver and kidney functions in children”, published in Environmental Research103, p.112-116. The findings suggested that drinking fluoridated water over 2.0 mg/l can cause liver and kidney damage in children. Stops Fluoridation After Two Years. Dr Mordchai Hochberg and Ze’ev Shafir have been instrumental in stopping the fluoridation of their town in Israel. Their campaigning has convinced the Town Mayor to cease water fluoridation, which is a bold move, as it is illegal at the present time. Stalled by Doctor and Nurse in Legislature. The only health professionals in the Oregon upper house, Dr. Ashley Bates and Nurse Laurie Monnes Anderson, have openly cited concerns about fluoridation. The good doctor, has been calling over the last four years, to be shown good credible studies that fluoridation is beneficial to the people of Oregon. And there aren’t any. Their Opposition to Water Fluoridation. The UK Soil Association has made a statement in support of the National Pure Water Association’s campaign against water fluoridation. The Association is a registered charity concerned with education and promotion of organic food and farming and the environmental and health benefits they deliver. Recommend the Withdraw of Fluoridation. In December 2006 A parliamentary committee has recommended to the National Parliament that fluoridation should be stopped until it can be appropriately researched. In the meantime, every municipality will decide independently, whether or not to fluoridate. The reason: Not a single definitive study demonstrates that the process has any benefit for dental health. No Fluoridated Water with Baby Formula. The American Dental Association issued a notice to their members on 9th November 2006, informing that baby formula should not be mixed with fluoridated water, because of the danger of excess fluoride to babies. Fluoridation Stopped in Half the State. On 20th October 2006, the mandatory fluoridation legislation was defeated in the legislature. This has stopped 5 million citizens from compulsory fluoridation and has saved the right for another 5 million to fight for its removal. Del Rio, Texas, to Remove Fluoride From Their Water. On 12th September 2006, the City Council voted to remove fluoride from their water supply after hearing a presentation from a retired biology professor. (However some months later the decision was reversed). Makes Teeth Weaker and Prone to Decay. Doctors Elias-Boneta et.al. research, “Relationship between dental caries experience (DMFS) and dental fluorosis in 12-year-old Puerto Ricans, published in Community Dental Health 23 p.244-250, advised that a national survey of children’s teeth in Puerto Rico found that both severe and moderate dental fluorosis are associated with increased tooth decay and/or restorations. The Precautionary Principle and Dental Health. Doctors J Tickner and M Coffin, explored the precautionary principle in relation to Dental Health and fluoridation, in their research, “What does the precautionary principle mean for evidence based dentistry” in the Journal of Evidenced Based Dental Practice 6. p.6-15. The precautionary principle states: “If there is uncertainty, yet credible scientific evidence or concern of threats to health, precautionary measures should be taken. In other words, preventive action should be taken on early warnings, even though the nature and magnitude of the risk are not fully understood”. When Fluoride Toothpaste, Was Stopped. The Journal of Bone and Mineral Research reported in October 2006 that a 52 year old American man, who’s crippling arthritis symptoms, decreased markedly when he stopped using fluoride toothpaste. There is no scientific dispute that large fluoride doses cause crippling skeletal fluorosis over time. Fluoridation Associated with Bone Cancer in Boys. It was reported that boys exposed to fluoridated water, had a significant higher level of an often fatal form of bone cancer, called osteosarcoma. According to the study, boys with the highest rate of osteosarcoma were those exposed to fluoridated water between the ages of 6 to 8. This research was conducted by EB Bassin et al. Fluoride Levels too High and Bodily Organs Effected. The USA, National Research Council released its 3 year fluoridation report on 22nd March 2006 – “Fluoride in Drinking Water: A Scientific Review of EPA’s Standards”. – It showed that fluoride levels were too high and there was a danger to other organs in the human body. Fluoridation on the Thyroid Gland. The results of the NRC’s scientific review into fluoridated water, brings into question the effect of fluoridation on the thyroid gland. The panel could not investigate, however some of their statements were: “In humans, effects on thyroid function were associated with fluoride exposures of 0.05 – 0.13 mg/kg/day when iodine intake was adequate and 0.01- 0.03 mg/kg/day when iodine intake was inadequate”. – “Several lines of information indicate an effect of fluoride exposure on thyroid function”. “The recent decline in iodine intake in the United States could contribute to increased toxicity of fluoride in some individuals”. Chemicals that may Damage a Child’s Brain. On 16th December 2006, the esteemed medical journal, The Lancet, (368 p.2167-2178) published a review of chemicals that can damage the child’s developing brain. The review classified fluoride, along with the rocket fuel additive perchlorate, as emerging neurotoxic substances. Kidney Patients are at Risk of Chronic Fluoride Poisoning. Research undertaken by Dr. CV Harinarayan and titled: “Fluorotoxic metabolic Bone Disease: an osteo-renal syndrome caused by excess fluoride ingestion in the tropics”. (Bone 39 p.907-914). Individuals with kidney disease have decreased ability to excrete fluoride in urine and are at risk of developing fluorosis even at normal recommended limits of 0.7 – 1.2 mg/l. – Dr. J Bober et.al. – “Fluoride aggravation of oxidative stress in patients with chronic renal failure”. (Fluoride 39 p. 302-309). – Drs. R Bansal & SC Tiwari – “Backpain in chronic renal failure”. (Nephrology Dialysis Transplantation 21. p. 2331-2332). – Drs. S Ayoob & AK Gupta – “Fluoride in drinking water, a review on the status and stress effect” – (Critical Reviews in Environmental Science and Technology. 36 p.433-487). In Horses Drinking Fluoridated Water. Dr. Lennart Krook, a retired veterinary researched from Cornell University discovered the cause of colic, arthritis-like stiffness of the bones, and skin allergies in domestic horses that were drinking fluoridated water. He firstly discovered that the horses had dental fluorosis and this led him to discover the source of the ailments the horses were suffering from. On 19th December 2006 commissioners reversed their 2002 fluoridation mandate. Commissioners said fluoride studies raised health doubts and they weren’t convinced an oral health program exists in their county. Fluoridated Water as a Medicine. As of October 30, 2005, the EU Medicines’ Directive has made it illegal for the EU Countries to add fluoride to food. The EU now classes water as a food – unless it has a substance added to it with the intention of effecting physiological function; then water is classified by the EU as a medicine and becomes subject to the EU medicines regulations.” European Commission Endorses Topical Application to Deliver Fluoride. In September 2005, The European Commission, Health and Consumer Protection Directorate-General, Scientific Commission on Consumer Products, stated: “Since the current scientific thought is that the cariostatic activity of fluoride is mainly due to its topical effects, the need to provide systemic fluoride supplementation for caries prevention is questionable”. – The Safety of Fluorine Compounds in Oral Hygiene Products for Children Under the Age of 6 Years. Not to Fluoridate its Water Supplies. Link Between Fluoride and Damage to the Brain. A study, published in the August 2004 issue of the journal Toxicology, by a team of scientists from the Karolinska Institute, Sweden, led by Chinese neurotoxicologist, Dr.Zhizhong Guan, for the past 8 years, has found that rats drinking fluoridated water, receive defects to vital receptors in their brain. Keep Fluoride Out Of Their Water Supply. On January 28, 2004, the Honolulu City Council voted 7 to 2 to keep fluoride out of the City’s water supply. Its Experiment With Water Fluoridation After 41 Years. On 9th April 2003, the City Parliament of Basel voted to end its 41 year experiment with water fluoridation. Basel was the only area in Switzerland to undertake this experiment. Between Fluoridated & Non-fluoridated Towns. Researcher, Dr. L Seppa et.al stated: “Even a longitudinal approach did not reveal a low caries occurrence in the fluoridated than in the low-fluoridated reference community”. (Caries occurrence in a fluoridated and a non-fluoridated town in Finland: a retrospective study using longitudinal data from public dental records).Caries Research 36: 308-314. On November 8, 2000, the people of Spokane again rejected fluoride for their water supply. They had rejected it in 1969 and again in 1984, but this time it was a little closer. Presidential Candidate Opposes Water Fluoridation. October 19, 2000: Green Party presidential candidate Ralph Nader held a news conference on the San Antonio Collage campus to discuss his stance against fluoridation of public water systems for the sole purpose of preventing tooth decay in children. “If that’s the only objective, you don’t expose all people to fluoridated water. Fluoridation to US. Congressional Committee. On June 29, 2000 Dr. J William Hirzy, (NTEU, Vice President) presented a submission to the Sub-Committee on Wildlife, Fisheries and Drinking Water and called for a moratorium on the fluoridation of public water supplies. In 1999 the CDC said: “Laboratory and epidemiological research suggests that fluoride prevents dental caries predominantly after eruption of the tooth into the mouth and its actions primarily are topical for both adults and children.” Morbidity & Mortality Weekly Report 48 p933-940. Declares Opposition to Water Fluoridation. The Associate Professor and Head, Preventive Dentistry, University of Toronto advised that he now opposed water Fluoridation as there is now no reason to swallow fluoride, especially the dangerous silicofluorides. Northern Ireland Stops Water Fluoridation. Fluoride was added to the water supply in 2 localities for over 30 years, however the practiced stopped in 1999. On March 4, 1999 the City of Santa Cruz banned water fluoridation. 1998. Washington, Missouri, Stops Water Fluoridation. On April 7, 1998, Washington, Missouri, voted to stop fluoridating their water supply. Fluoride Committee says an Emphatic NO to Fluoridation. Dr. John Colquhoun – Changes his Mind on Fluoridation. Former Principle Dental Officer for Auckland, New Zealand’s largest city, was an avid promoter of fluoridation, until he studied the figures from the fluoridated and non-fluoridated areas and found very little difference in tooth decay betwee the two areas. He also found that the NZ Health Department were “fudging” the figures. Says NO to Water Fluoridation. A six month review of fluoridation research by the Lord Mayor’s Task Force decided not to fluoridate over one million citizens in Brisbane and the surrounding areas. The Effect of Fluoride on the Physiology of the Pineal Gland. In 1997, Dr. Jennifer Luke discovered that fluoride can go through the brain barrier and accumulate in the pineal gland at the base of the brain. One of the effects of this action is to bring on puberty earlier in children. Water Fluoridation in Last 12 Months. From August 1995 to August 1996, the following Health organisation, have dis-endorsed water fluoridation: American Cancer Society; American Heart Foundation; National Kidney Foundation; American Academy of Allergy and Immunology; American Diabetes Association; Chronic Fatigue Syndrome Activation Network; American Chiropractic Association; American Psychiatric Association and Society of Toxicology. Fluoride Passes Through The Brain Barrier. Dr Phyllis Mullenix was a top researcher on chemicals passing through the brain barrier, when she did research at Forsythe Laboratories on the effect of fluoride on the brain. She stumbled onto the fact that fluoride could affect the brain of animals and therefore the brain of humans, especially small infants. Data from Head Start surveys show the prevalence of baby bottle tooth decay is about three times the national average among poor urban children, even in communities with a fluoridated water supply. – Von Burg et.al. (1995) Baby Bottle Tooth Decay: A Concern for All Mothers. Paediatric Nursing 21 515-519. The WHO Stated: “Dental and public administrators should be aware of the total fluoride exposure in the population before introducing any additional fluoride program for caries prevention”. – WHO (1994) Fluorides and Oral Health, WHO Technical Report Series 846. Albany, New York, Bans Water Fluoridation. On December 8, 1994, the capital city of New York State voted to stop the fluoridation of their water supply. The Czech Republic decided to discontinue water fluoridation in 1993. Three Communities in Canada Stop Water Fluoridation. In April 1993, Campbell River stopped fluoridation after 33 years. And in November 1993, Port Hardy and Squamish, rejected water fluoridation after 19 & 20 years. 1992. Finland Stops Water Fluoridation. The fluoridation experiment started in the town of Kuopio in 1959 and finished in 1992. No Difference in Decay Rates Based on Fluoride Status. In 1992, GP Barnes et al. found: “Children attending centers showed no significant differences in baby bottle tooth decay, based on fluoride status for the total sample or for other variables. – Ethnicity, location, age, and fluoridation factors in baby bottle tooth decay and caries prevalence of head start children. Public Health Reports 107: 167-173. On October 22, 1991, Water fluoridation stopped in Palm Beach County, Florida. On 8th May 1989, the Chemical and Engineering News carried an article starting. “ An analysis of national survey data collected by the National Institute of Dental Research (NIDR), concludes that children who live in areas of the US where the water supplies are fluoridated, have tooth decay rates nearly identical with those who live in non-fluoridated areas. This research was conducted by Dr John Yiamouyiannis. Studies and reports agree that the differences in dental decay prevalence between fluoridated and non-fluoridated areas in New Zealand are small. For 12 and 13-year-old children nationally, the percentages who were caries-free in each kind of area, differed by only 1 or 2 percent and were often higher in the non-fluoridated part of a health district. – Colquhoun J. (1987). Child Dental Health Differences in New Zealand, Community Health Studies 6 p.85-90. Higher Rates of Tooth Decay in Fluoridated Areas. Survey results in British Columbia, with only 11 percent of the population using fluoridated water, shows lower average DMFT (decayed, missing, filled, teeth) rates than provinces with 40-70 percent of the population drinking fluoridated water. How does one explain this: School districts recently reporting the highest caries free rates, were totallyunfluoridated. – (Fluoridation: Time for a new baseline? Journal of the Canadian Dental Association 10: 763-765). New Book By Dr. John Yiamouyiannis. Dr. John Yiamouyiannis, until his death in 2000, was the world’s leading authority on the biological effects of fluoride. He held a B.S. in biochemistry from the University of Chicargo. A Ph.D. in Biochemistry from the University of Rhode Island. George L Waldbott MD and H Lewis McKinney PhD. Water Fluoridation After a 23 Year Trial. 1971. West Germany Stops Water Fluoridation, After 18 Years. In 1971, West Germany discontinued their water fluoridation experiments after 18 years. Their Experiment with Water Fluoridation. Although the water fluoridation experiment was stopped in 1959, water fluoridation was not declared illegal until 18th November 1971. Errors and Omissions in Experimental Trials Melbourne. Australia, Dental scientist, Dr. Philip Sutton, Investigated the first fluoridation trials in the USA and was so upset that the results were tampered with, that he wrote a book about the results. The title is: “Fluoridation – Errors and Omissions in Experimental Trials”. On 29th June 1957, 43 Medical practitioners from Ste. Petersburg opposing the fluoridation of the St Petersburg water Supply. Sign a Petition to a New York Newspaper. On 20th February 1957, 300 medical and dental professionals petitioned a New York newspaper warning of the dangers of water fluoridation. In March 1955, 83 physicians and dental practitioners send a petition to Michigan Governor opposing water fluoridation.